the planet Earth is under attack by swarms of mad bloodthirsty invaders! The M-Team is the Earth's last hope. Only they can help rid the Earth of the evil Morbeeds and their destructive forces. 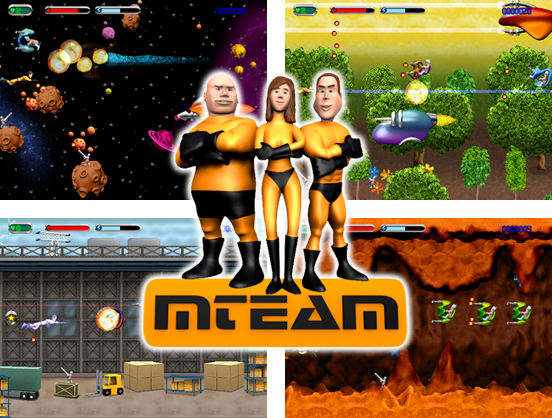 Help the M-Team super heroes fight their way through to the alien home planet Beedula, where the loathsome, intergalactic warlord Gradiobeed commands his army of alien invaders. MTeam need a Windows Mobile PocketPC or a PalmOS compatible device with at least PalmOS 5. Check the system requirements for more information.